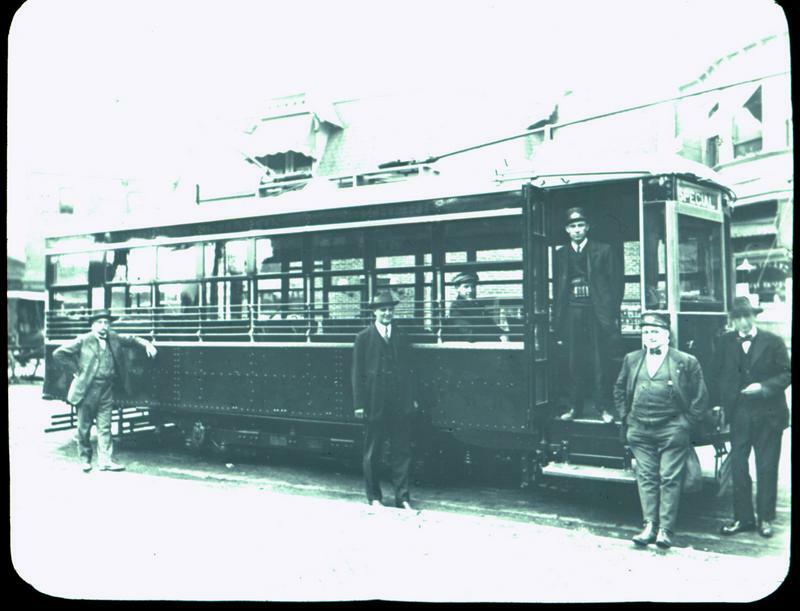 The Historical Society of Frankford gave a presentation about the history of transportation in Northeast Philadelphia, from trolleys to the Market-Frankford Line. The Historical Society of Frankford recently hosted its first of four spring programs with the presentation “Ride the Rails,” which illustrated the evolution of transportation in Philadelphia from trolley cars to the Frankford El. Visuals were shown on lantern slides, which are photographs pressed between two thin pieces of glass displayed via a special projector. 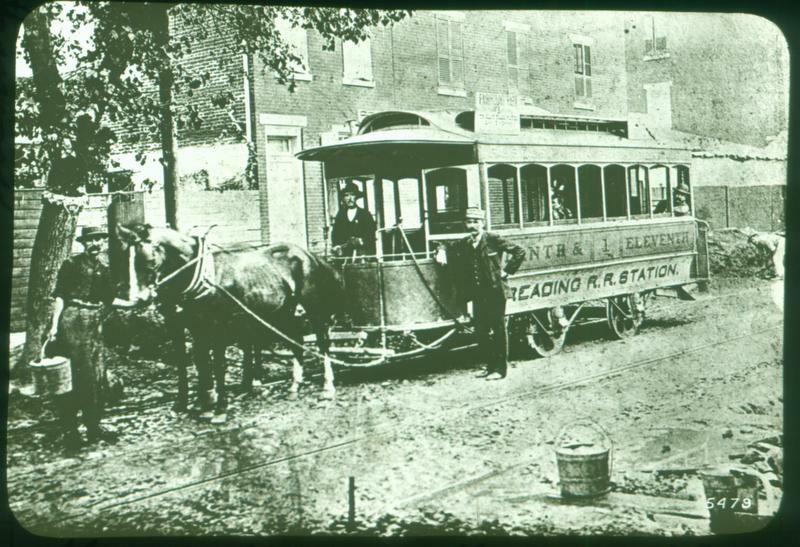 Horse-drawn cars were used for transportation along railroad tracks from the 1850s to the 1890s. Information on some of the lantern slides led organization president Jim Young to speculate that some horse cars began being used as early as the 1840s. This double-ended car features a door on each side and two trolley poles on the top of the car. “This was one of five cars assigned to the Bustleton-Somerton line, which served the area from the El stop on Oxford Avenue,” Jim Young said. The car, which required only one person to operate, ran along the route 59 line, which still exists today. 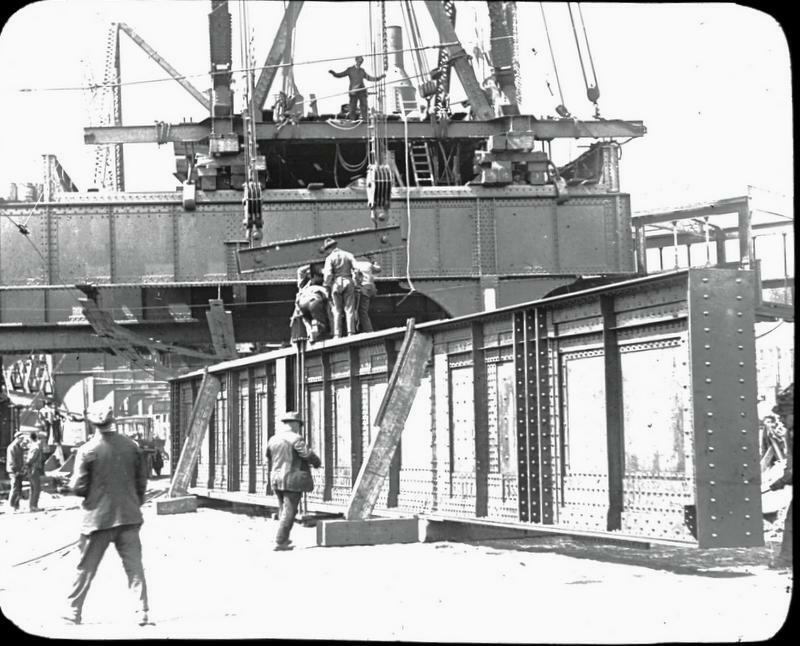 This photo, taken in 1921, shows a 68-ton metal girder being transported during the construction of the Market-Frankford line, which opened in 1922. The same metal girders are still used today. The Historical Society of Frankford gives free monthly lectures March through June and September through December. The building, located at 1507 Orthodox St., also houses a museum available by appointment. The organization is seeking volunteers to help out with its archives. Contact frankfordhistorical@gmail.com if interested.